If you watched the video above — and why wouldn’t you? It’s got crunchy guitars and lots of running footage of the F-150 Raptor — then you saw that claim that Trail Control is like cruise control for off-roading. And it is! To engage the system, you need only press the Trail Control button located just above the F-150 Raptor’s infotainment display and between the hazard lights and traction control buttons. Then, by using the speed select buttons mounted on your steering wheel, you can set a speed of up to 20 mph. Take your foot off the pedal, pal, because you’ve just engaged Trail Control! It’s like cruise control … but for off-roading. Did I mention that already? 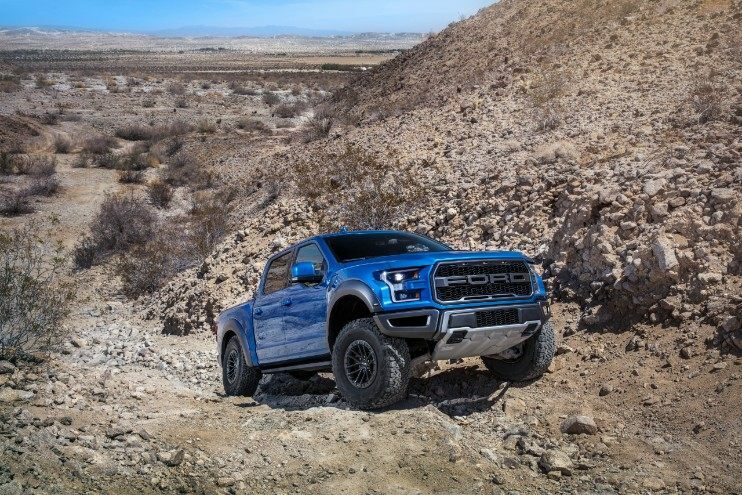 The 2019 Ford F-150 Raptor is the only truck on the market that offers a Trail Control function for all its 4×4 modes. Combined with the Terrain Management System, it enables you to ride in the F-150 Raptor on practically any surface without needing to worry about getting stuck or stranded. Wanna get a 2019 Ford F-150 Raptor? It’ll be here in early 2019, along with Trail Control, which is like cruise control BUT FOR OFF-ROADING.